The UNESCO Almaty Office organizes a regional seminar for young professionals on disaster risk reduction in Central Asia. The Central Asian region faces serious challenges in tackling the adverse effects of climate change. A particular role is played by natural hazards, as their number and severity of damage caused, especially those from floods and mudflows, increase every year. It is known that the region has traditionally been dominated by efforts to respond to disasters, rather than to prevent and prepare for them. It is therefore important to work on research related to the prevention and preparedness for disasters, as well as their mitigation. The UNESCO Cluster Office in Almaty in partnership with the Center for Emergency Situations and Disaster Risk Reduction in Almaty is organizing "UNESCO Regional Workshop on Mobilization of Youth and Young Professionals in Science for Disaster Risk Reduction in Central Asia", which will take place in Almaty, Kazakhstan, on 13-14 March 2019. The purpose of the seminar is to strengthen the scientific capacity of young researchers and specialists in the field of disaster risk reduction (DRR), as well as to promote new initiatives in DRR among young people. 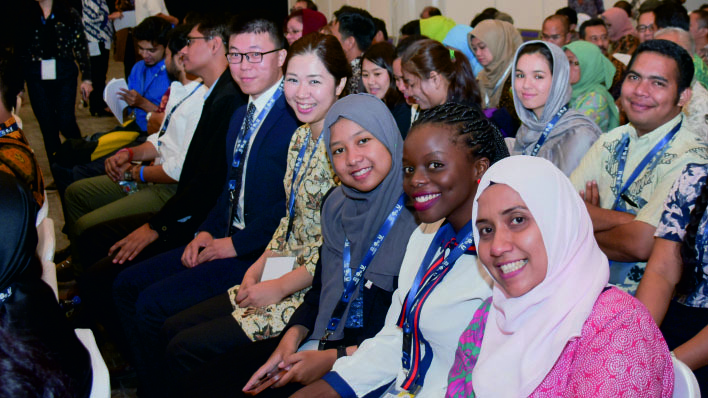 The participants will discuss the prospects of development in science for young professionals involved in disaster risk reduction, the possibility of applying their research in practice, as well as consider real-life examples from the communities living in disasters-prone areas. For media accreditation, please call Mr Serikzhan Atanov +7 (727) 258-26-43 (ext. 1424) or send an email to s.atanov@unesco.org.